although we love to show people our hometown in the gunnison valley, we really love to share global travel with our guests and friends. Join us on one of our amazing adventure vacations stacked to the gills with unique experiences and suprising thrills. we promise to overdeliver and become your travel partner for life. At Wheelies and Waves, we don't want you to feel like you need to escape your life, but like you want to LIVE it! Let's truly EXPLORE all Thailand has to offer, not just change our latitude, but change our attitude and perspective of the world. This is a trip of a lifetime. This trip is designed for YOU. If you are reading this, you are the kind of person that expects more from themselves and life. It’s an adventure for those that want to break the mold, and go on a trip that will have their Instagram feeds blowing up and friends jealous for months. It's for those that like to travel a little bit differently, that enjoy experiencing new cultures without sacrificing luxury. Let us do all the research to bring you the best in adventure travel, all you have to do is say yes. We have partnered with Adventure Travel experts, Flow World Travel to bring you a Thailand vacation unlike anything you have experienced. They have been doing trips to Thailand for the last 5 years and have the experience and inside knowledge of the area to provide our guest an experience on par with everything we do at Wheelies and Waves. Check out this line up below! Moto Tour - During an Optional add on during our trip you can learn to ride a motorcycle on an empty beach in Koh lanta. With both Braden and a local guide showing you the ropes, or how to ride a wheelie, experience more of Koh Lanta then most people do. *Be prepared for unexpected surprises and excursions. You are with the burton's, anything can happen! is a fun loving, adventure seeking, camper living wild woman! She is passionate about travel, health, and coaching others to live their best lives. She is a top online Health and Wellness Coach, Level 2 Crossfit Coach, ACE certified personal trainer, Paddlefit CORE Coach, and graduate from the College of Charleston. Courtney is a Maryland native that now calls Crested Butte, Colorado home when she's not travelling around the world with her husband and two dogs. Braden is an adrenaline seeking, calculated risk taker. He grew up in Baltimore, MD, and participated in all adventure sports. From skateboarding, surfing, snowboarding and motorcycling, he tried it all, and thrives on introducing people to the sports he loves. He is an accomplished mechanic and took his Technical way of thinking to help launch Elevated Perspective Marketing in 2016 as the CFO. 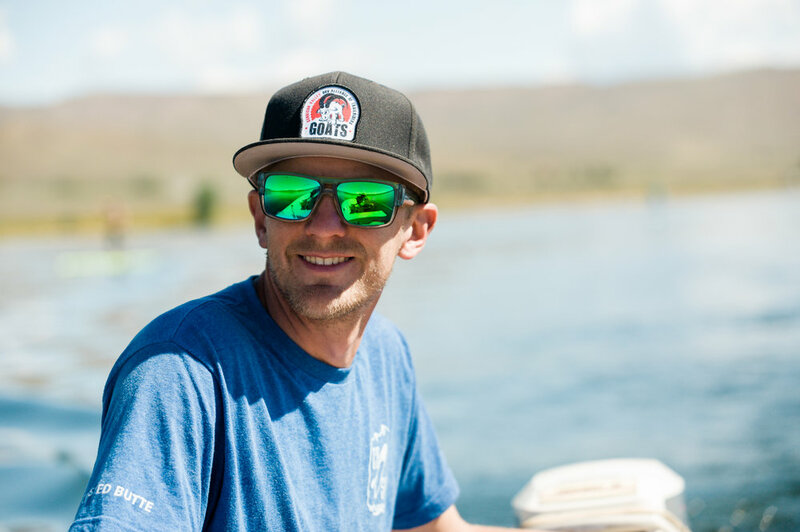 Since then, he helped grow Elevated to a multi million dollar company before stepping away to focus on his real passion, helping others experience adventure in the mountains. Braden hopes to elevate others to do more in their lifetime while increasing their ability to create an impact Through Wheelies and Waves.